The world still has too much oil. China's crashing stock market and the meltdown in the metals market may be getting all the attention lately, but crude oil is quietly crumbling once again. Oil has plunged nearly 20% this month alone and it briefly dipped below $47 a barrel on Tuesday. That leaves it flirting with the March lows, which was the weakest price since 2009. The latest selling has been fueled by the same dynamics that caused oil to tumble from $100 last summer. The American energy revolution has created a massive supply glut and the tepid global economy is depressing demand growth. The good news for American drivers is industry insiders expect these dynamics to persist, keeping energy prices cheap for some time. Thousands of U.S. gas stations will have sub-$2 gasoline prices by December, according to Tom Kloza, chief oil analyst at the Oil Price Information Service. Supply glut persists: Oil prices have been on a rollercoaster as the U.S. and Saudi Arabia battle for market share of the global energy industry. Crude plunged from $107 a barrel in June 2014 to as low as $43.46 in March. Then they rebounded above $61 a barrel on hopes the supply/demand imbalance had been fixed as U.S. producers dialed back drilling. That turned out not to be the case as American production ramped back up. "U.S. output has been remarkably resilient. Any kind of price rise will be met with a wall of output that will restrain any further price rise," said Vincent Piazza, a senior analyst at Bloomberg Intelligence. The U.S. is currently pumping 9.5 million barrels of oil per day -- up by a million from a year ago. "The recovery only emboldened the shale crude oil producers. So you saw another surge of production," said Walter Zimmerman, chief technical analyst at United-ICAP. Production may also be on the rise in Iran at just the wrong time. If sanctions are lifted, Iran's nuclear deal with the West could add hundreds of thousands of barrels of oil to the global market -- each day. Turmoil in China keeps lid on demand: The demand picture doesn't look much better. Not only did the U.S. economy actually shrink during the first quarter, but estimates for global growth continue to be whittled lower. China is at the heart of these concerns. Its growth rate has gone from explosive to just good -- and many fear it's only going lower. That slowdown means China can't be relied upon to gobble up the excess oil created by shale. The crash in China's stock market -- which resumed this week after a brief respite -- is only increasing concerns about the country's underlying economic health. "China is the Michael Jordan of emerging market growth. If Michael Jordan gets a fractured foot, it really damages the case for growth in consumption," said Kloza. Related: China's economy is getting sick. Will it infect America? Energy stocks renew tumble: Just like gold and copper, oil continues to be dinged by the rise of the U.S. dollar. A stronger greenback makes commodities that are priced in dollars more expensive for overseas buyers. All of this is taking a toll on pockets of the U.S. stock market. Oil jumped 1.5% on Tuesday, sending the S&P 500 energy sector sharply higher. However, despite those gains the group is still down 6% so far in July and 12% on the year. Some of the biggest losers in the broader S&P 500 this month include energy stocks like Chesapeake Energy, (CHK) Ensco (ESV), Marathon Oil (MRO) and Apache (APA). All of those names are down about 20%. 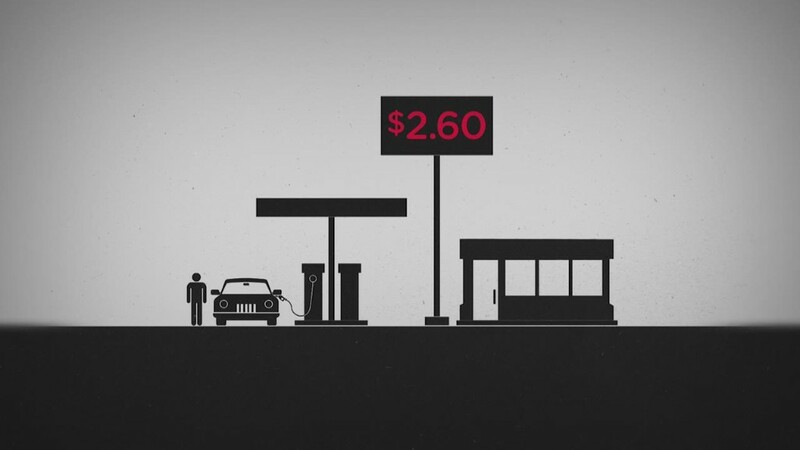 So where are oil prices going next? It's pretty difficult to find a catalyst for a strong rebound in prices over the next nine months, said Kloza. 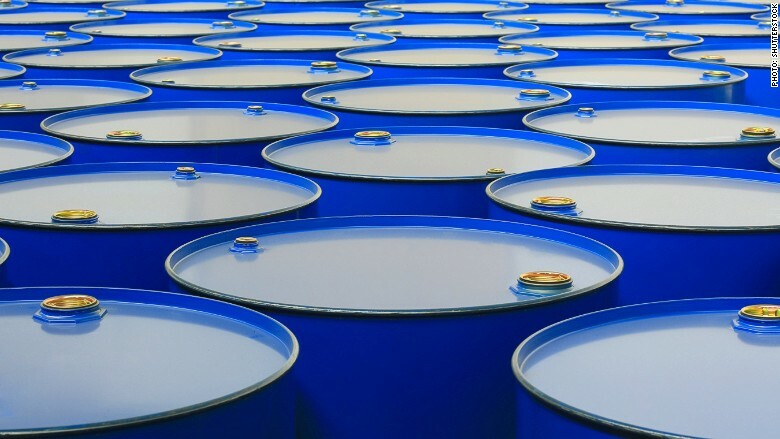 Zimmerman believes oil could soon retest the March low of $43.46 a barrel. If it breaks below that, the next logical level is $32.40 -- the basement put in during the 2008-2009 Great Recession. "It could be a lot worse than that because there's a lot more shale oil production now than there was in 2008," said Zimmerman. His most bearish case calls for panic selling to briefly send crude spiking down to $25 a barrel.